A slate of primaries in Connecticut, Minnesota, Vermont and Wisconsin on Tuesday delivered key answers in some of this midterm cycle’s most pivotal races. There were historic wins for a diverse crop of candidates that includes a transgender woman and a Muslim nominee, and a slew of progressives prevailed only a week after they fell short in a number of high-profile races in Kansas, Michigan and Missouri. It was a big night for progressives, as candidates backed by the Working Families Party swept their primaries in three of the four states Tuesday night. The liberal factions of the Democratic Party fell short last week in the Michigan gubernatorial primary, in which former state Senate leader Gretchen Whitmer won the Democratic nomination over two insurgent candidates -- former Detroit Public Health Director Abdul El-Sayed and businessman Shri Thanedar -- who embraced true progressive ideals like "Medicare for All." Despite that setback, progressives responded Tuesday night, surging to victory in several races, including Randy Bryce in Wisconsin’s 1st Congressional District, Christine Hallquist in Vermont’s gubernatorial race and Jahana Hayes in Connecticut’s 5th Congressional District, among others. 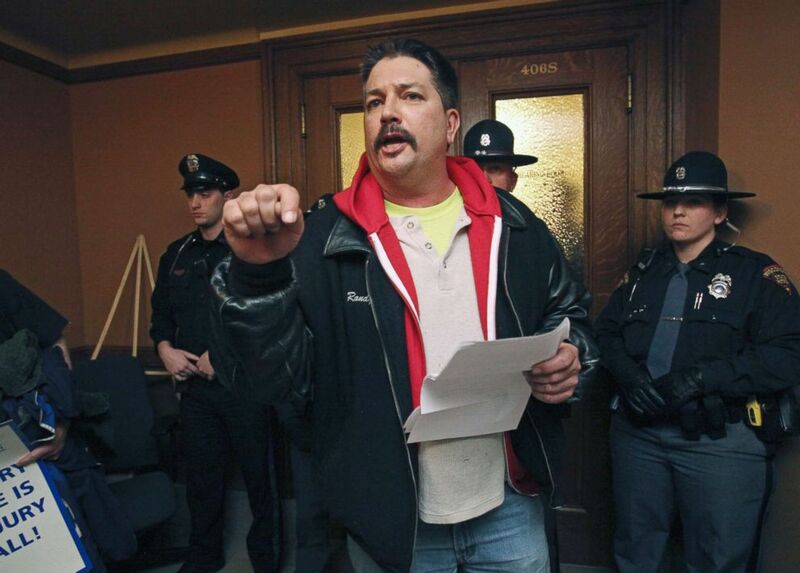 Randy Bryce, of Caledonia, Wis. reads his testimony outside a hearing room that is barricaded by police after he was not able to speak during a meeting for a right-to-work bill at the Wisconsin State Capitol in Madison, Wis., Feb. 24, 2015. "Tonight’s results are nothing less than seismic. You can feel the progressive earthquake from Milwaukee to Danbury to Burlington," said Joe Dinkin, Working Families Party campaigns director. "A new generation of trailblazing progressives are running, and they’re running without the backing of any political machines." The most high-profile races of the night included gubernatorial primaries in Wisconsin and Minnesota, and the GOP primary to take on Democratic incumbent Sen. Tammy Baldwin for one of the Badger State’s U.S. Senate seats. In Wisconsin, state Superintendent of Public Instruction Tony Evers emerged victorious in the crowded Democratic primary to take on Republican Gov. 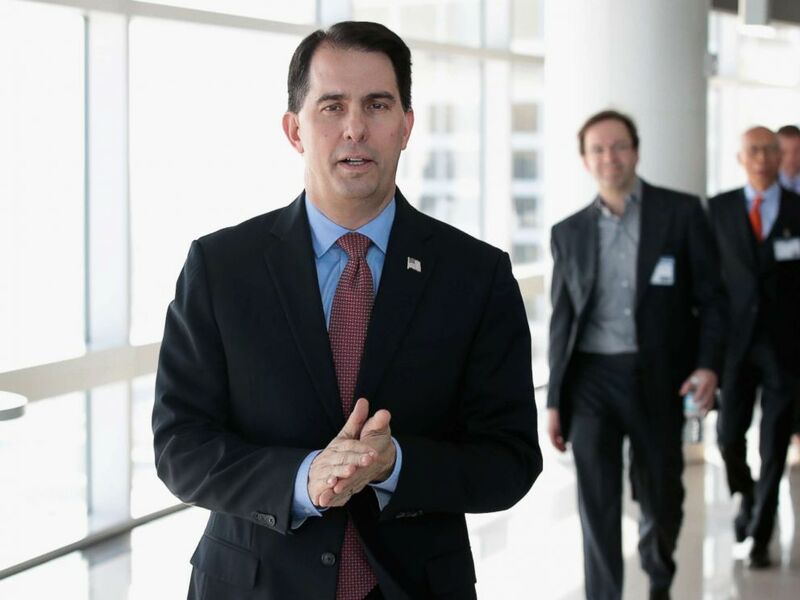 Scott Walker, a longtime foe of the party that has already survived two re-election campaigns and a recall election. Evers has the benefit of already having won a statewide election and is arguably the most palatable choice in the general election in a state that narrowly went to Donald Trump in the 2016 presidential election. Wisconsin Governor Scott Walker arrives at an event in Milwaukee, Feb. 6, 2018. In the GOP primary for the Wisconsin U.S. Senate race, state Sen. Leah Vukmir utilized the backing of the state party and was able to defeat U.S. Marine Corps veteran Kevin Nicholson, who was backed to the tune of $10 million from GOP mega-donor Richard Uihlein and outside groups like the Club for Growth. In Minnesota, Republicans face a setback in a gubernatorial race they were hoping to target. Former presidential candidate and two-term Gov. Tim Pawlenty lost the GOP gubernatorial primary to Hennepin County Commissioner Jeff Johnson, an unexpected result that bolsters Democratic hopes of holding onto the governor’s mansion. Democrats nominated Rep. Tim Walz in the governor's race, who represents a rural district in the southern part of the state. There were no surprises in the four congressional districts that are expected to be competitive this cycle. In the state’s 1st and 8th congressional districts, which both have retiring Democratic incumbents, Republicans got their preferred candidates in former U.S. Treasury Department official Jim Hagedorn and St. Louis County Commissioner Pete Stauber. Trump carried both districts by more than 15 points in 2016, and the GOP is expected to invest heavily in these two open-seat races. Tuesday also provided two more historic results in an already historic midterm cycle. 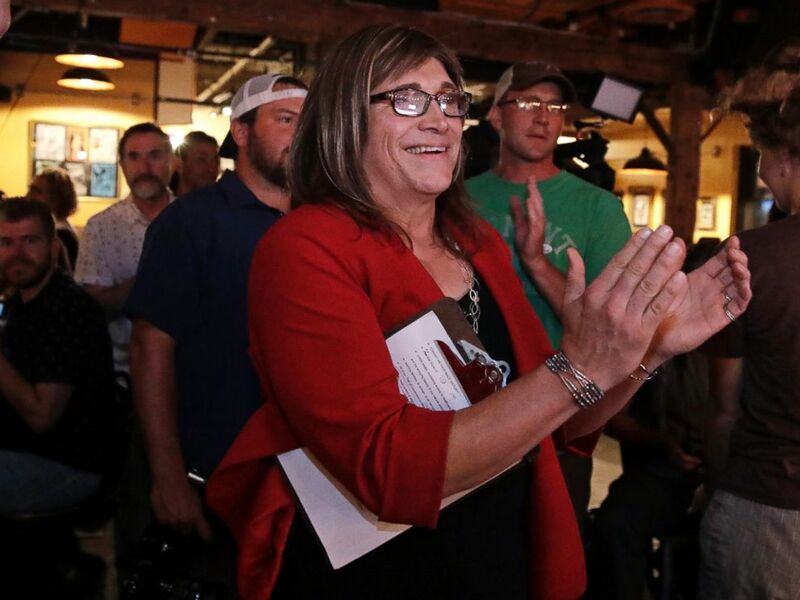 In Vermont, Democrats nominated Hallquist in the gubernatorial race, making her the first openly transgender individual to win a major party's nomination for governor in U.S. history. Hallquist, the former head of the Vermont Electric Cooperative, faces a tough race in November against incumbent Gov. Phil Scott, who easily survived a primary challenge from first-time candidate Keith Stern, who mounted a serious challenge to the incumbent by running to his right. In Minnesota, state Rep. Ilhan Omar is likely to join Michigan’s Rashida Tlaib as the first two Muslim women in Congress come November. Omar won the Democratic nomination in Minnesota’s 5th Congressional District, which was vacated by Rep. Keith Ellison, who won the Democratic nomination in the state’s attorney general race Tuesday night. Omar is a Somali-born hijab-wearing refugee, and was favored to win after running on a strong progressive platform. She was also endorsed by progressive darling Alexandria Ocasio-Cortez, who celebrated Omar’s win on Twitter Tuesday evening. An understated storyline on Tuesday were the wins by multiple candidates with backgrounds in education. Tony Evers, a top official in the Wisconsin's public school system, won the Democratic primary in the state's gubernatorial race, and education figures to be a major issue in his bid to unseat GOP Gov. Scott Walker. 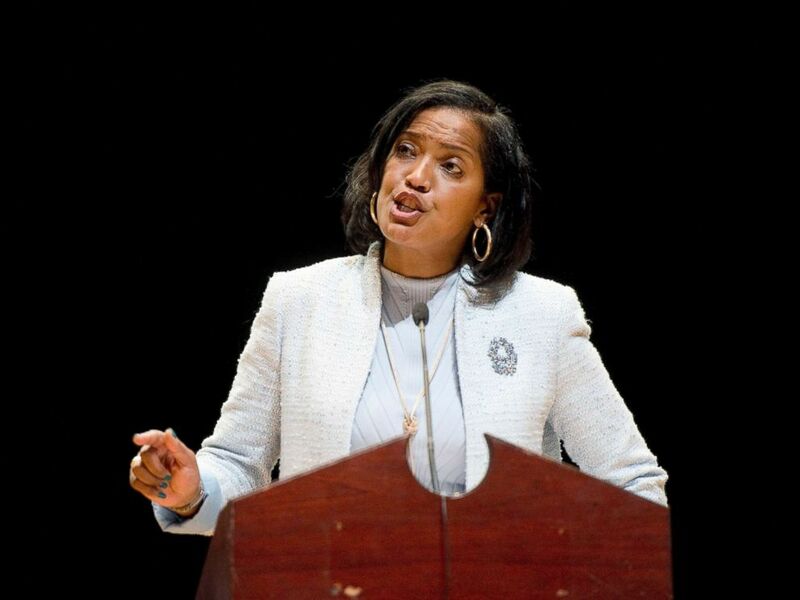 In Connecticut, former National Teacher of the Year and first-time candidate Jahana Hayes will win the Democratic primary for Connecticut’s 5th Congressional District. Candidate Jahana Hayes addresses delegates during the Democratic convention for the 5th District, May 14, 2018, at Crosby High School in Waterbury, Conn.
Hayes will be the Democratic nominee in the race to replace Rep. Elizabeth Esty, who did not seek re-election after mishandling a sexual harassment scandal involving her chief of staff. Sen. Chris Murphy encouraged Hayes to run, however, he did not issue a formal endorsement in the race. Hayes’ Republican opponent in the general election has not been called yet. In Minnesota, former high school teacher and curren Congressman Tim Walz emerged victorious in the Democratic gubernatorial primary, while Iraq War veteran and former Teach for America participant Dan Feehan won the Democratic primary in the seat Walz vacated to run for governor. There was one instance of an educator falling short Tuesday. In Wisconsin's 1st Congressional District, currently Speaker Paul Ryan's seat, ironworker Randy Bryce defeated Janesville schoolboard member Cathy Myers despite his history of arrests, including one for drunk driving. The #MeToo movement that brought down former Minnesota Sen. Al Franken has now also ushered in two female candidates to replace him. Sen. Tina Smith won the Democratic primary, according to the AP’s projection, in Tuesday night’s special election to replace Franken after he resigned due to allegations of sexual misconduct. Smith has occupied the seat for the last several months, appointed by Gov. Mark Dayton to fill the seat earlier this year. In a contest to finish out Franken’s term, Smith will compete against state Sen. Karin Housley, who won the Republican primary, according to the AP’s projection. Both garnered commanding leads in their primaries: Housley captured over 62 percent of the vote and Smith picked up more than 76 percent, according to unofficial results from the Minnesota secretary of state. In this Jan. 10, 2015 file photo, Minnesota Democratic Lt. Gov. 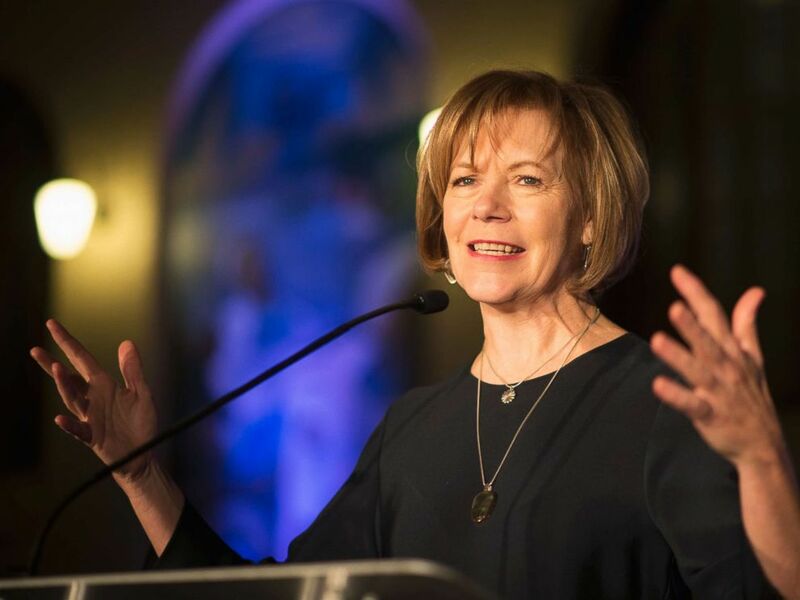 Tina Smith speaks to attendees at the North Star Ball in St. Paul, Minn. This matchup arises after the #MeToo movement toppled goliath men from power across the political, media and Hollywood landscapes. But these two contenders weren’t alone on Tuesday. They were among 58 women featured on the ballot for either congressional or statewide executive elections, according to the Center for American Women and Politics. In Minnesota, Ellison defeated a wide-ranging field of candidates to land on the general election ballot for attorney general. His victory, however, is overshadowed by allegations of domestic abuse, which he denies, from a former girlfriend and her family. "I am honored to have earned the overwhelming support of DFLers to be Minnesota’s next Attorney General," Ellison said in a statement after his victory. "As the People’s Lawyer, I will be on the front lines to defend the rights and freedoms of all Minnesotans. As your Attorney General, I will fight every day to put Minnesota families ahead of powerful special interests, to increase access to affordable health care, make our economy more fair, and expand opportunity for all." The accusations surfaced when the son of his former girlfriend, Karen Monahan, posted on Facebook that he witnessed the deputy chairman of the Democratic National Committee abusing his mother. Monahan then confirmed her son’s account in a Twitter post. Ellison responded to in a statement that reads: "I never behaved in this way." 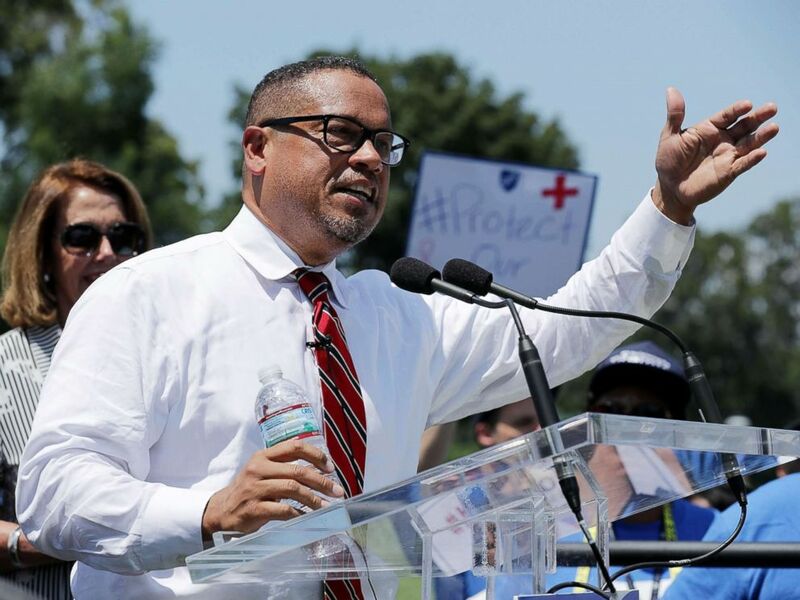 Despite the disturbing claims against him, the first Muslim congressman will advance to the general election, after easily overcoming the crowded primary. He is set to face Republican Doug Wardlow in November. Another candidate with a questionable background is Wisconsin's Bryce. In a race to fill Ryan’s soon-to-be vacated seat, Bryce will challenge former Ryan aide Bryan Steil, who was projected to win the Republican primary by the AP. Bryce brings a rap sheet with nine arrests for various offenses since the 1990s. The most serious arrest for the Army veteran came in April 1998 when he was caught driving under the influence. Two of his most recent arrests in 2011 and 2018 came during protests of Ryan and policies of the GOP. His history of run-ins with the law did not undermine his campaign from gaining support within the Democratic Party. The Democratic Congressional Campaign Committee backed him in the primary, he raised nearly $5 million for his campaign and earned a national profile along with the support of Vermont Sen. Bernie Sanders. In 2016, with the support of a substantial white working-class population, the district swung in favor of then-candidate Trump. But Democrats are eyeing his background as an ironworker to flip the seat.